party policy, and naturally one party system construed one man rule. kept away their human spirit and obeyed the orders from upper authourities. 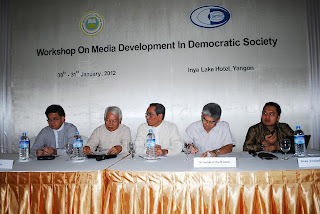 Myanmar is fowarding to democratic nation with its new Constitution. some are need to amend and some are need to prescribe soon. try to relax. But the process was not obvious and publicised. 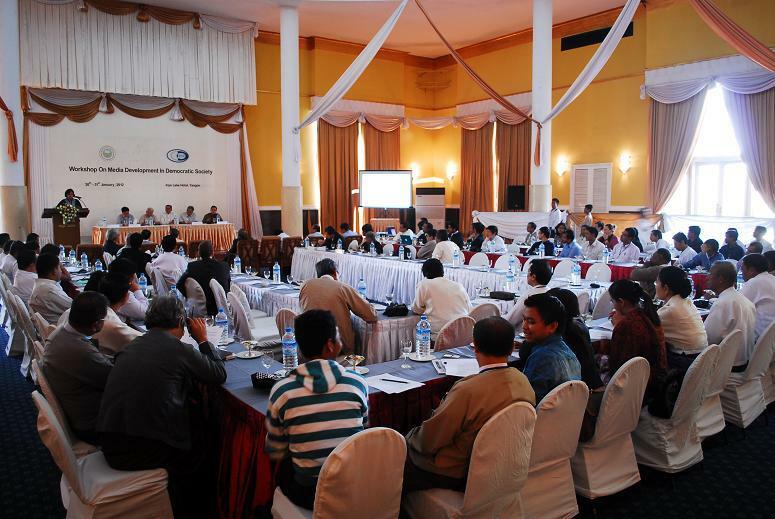 1) Historically, Myanmar had the following laws regarding to Media. (a) The Press Act 1867. (c) The Copyright Act 1914.
regulations and amended the existence. curcumstances the strict regulated for prior scrutinized became compulsory. repealed by this 1962 law. From that date 2005- The Relaxation Concept started gradually. 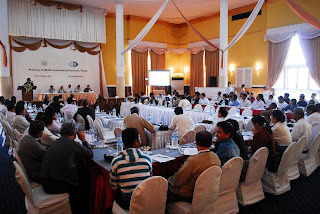 was reorganized as the Myanmar Writer and Journalists Association. competiveness essential in a market economy. publication of pertinent articles and news releases. (3) To see that dissent do not degenerate into conflict. media for the task of taking self-responsibility in their work. this information in a timely fashion. policy on scrutiny of publications was approved. the period 1948 to 1962. 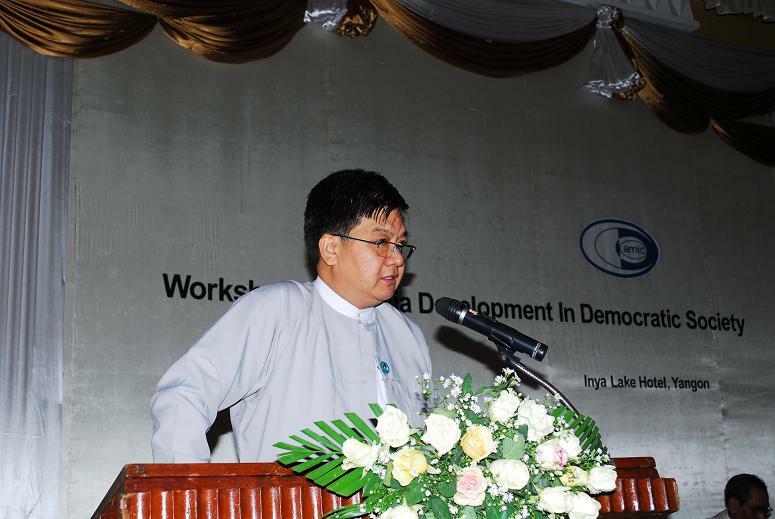 (2) To uphold national interests as the underlying principle in every facet. disciplined freedom and responsibility, liberality with reason overall. promulgation in keeping with established procedure. Chapter III- Principles to be observed by publications. Chapter V- Registration of Printers, Publishers and Distributors. Magazines, Books and Other Publications. Publications that are contrary to terms and provisions of this law. Chapter VIII- Dissemination of publications externally or internally. presented papers will be noted down by me and given due consideration. - they are said to focus too much on conflict & personalities. - they are involved in unnessary intrusions of privacy. - they do not facilitate a great diversity of view-point. The following points to ponder may conclude the paper. will be enough to convince public to support freedom of speech and expression. The Media envirionment always demand for freedom of expression. But every citizen must aware on his rights and responsibilities. of the nation & national identity. (1) Myanmar law Index 2011. 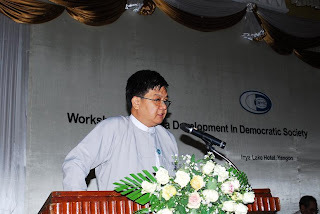 (3) Union of Myanmar Constitution 2008. Foreign Affairs, New York: Jan / Feb 2011 Vol 90, issue 1, P-28.